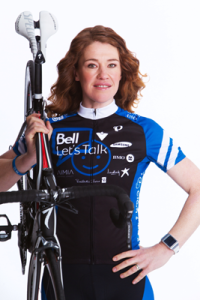 Calgary Counselling Centre is thrilled to host Clara’s Big Ride for Bell Let’s Talk on Saturday, May 31, 2014 with six time Olympic medalist and mental health advocate Clara Hughes. We invite you and your family to attend an interactive, informative, fun and FREE community event from 9 a.m. – 1 p.m. on Saturday, May 31 with Clara Hughes as the keynote speaker at Calgary French & International School (700 – 77th Street SW). Check out our poster for more details. Clara Hughes is biking across Canada en route for over 110 days and is stopping in 95 different communities including Calgary to help raise awareness and reduce stigma around mental health. For more information on the community event check out our poster here and please feel free to print and share with friends and your neighbourhood! Let’s reduce stigma by learning, listening, and creating together!